is a trading style of Porthcawl Insurance Consultants (UK) Limited, PIC is family run business and has been providing marine advice since 1967, we are still a family owned concern and intend to continue so for the foreseeable future. 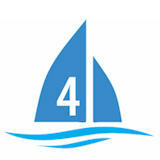 aim is to bring you hassle free lo cost quality Boat/Marine insurance policies to cover your needs. Porthcawl Insurance Consultants was founded in 1967 by the late Lindsay Knipe and is now run by his son Stephen Knipe & his wife Belinda since 2002. Stephen is joined by his wife and daughter and a team of other advisers to help you through the minefield of “marine insurance”.